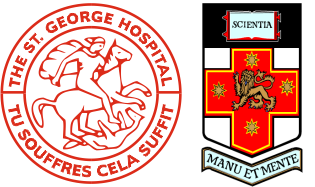 The St George Swallow Centre was established in 1995 by Professor Ian Cook and his team on the St George Hospital campus. It provides a specialised multidisciplinary clinical service to assess and treat patients who present with a wide range of swallowing disorders. The Centre provides expert clinical assessment in our Swallow Clinic staffed by Gastroenterologists, Speech Pathologist, and Dietician and is supported by affiliated medical, surgical and diagnostic services within St George Hospital. The Centre is unique in that it caters for patients with a diversity of swallowing problems – conditions that can affect anywhere from the mouth, throat region or the oesophagus (gullet). The service is supported by a state of the art motility laboratory providing pharyngeal and oesophageal manometry studies (to measure contractile function) as well as oesophageal pH testing (to assess acid reflux). The Centre has a vigorous research program which focuses on the causes of disordered swallowing and the evaluation of newer treatments. This work is supported by a full-time post-doctoral research scientist, a post-doctoral speech pathologist and a doctoral student. The group has published widely in the international medical literature and has presented this research at national and international conferences. Some common conditions that cause swallowing problems.